When Hellboy, Liz Sherman and Abe Sapien are assigned to investigate the ghost-infested mansion of a publicity- hound billionaire, they uncover a plot to resurrect a beautiful yet monstrous vampire from Professor Bruttenholm’s past. 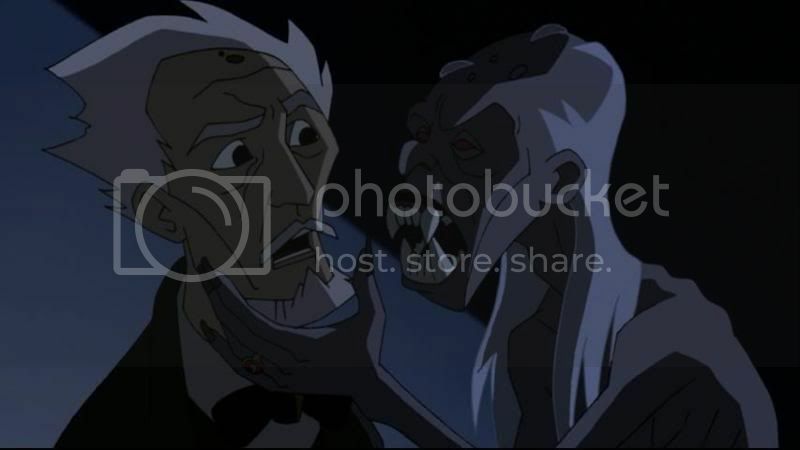 But before they can stop her bloodbath, Hellboy will have to battle harpies, hellhounds, a giant werewolf and even the ferocious goddess Hecate herself.How much crap does a guy have to take from a Hungarian Blood Countess before he and his surrogate father can avenge the souls of the damned? 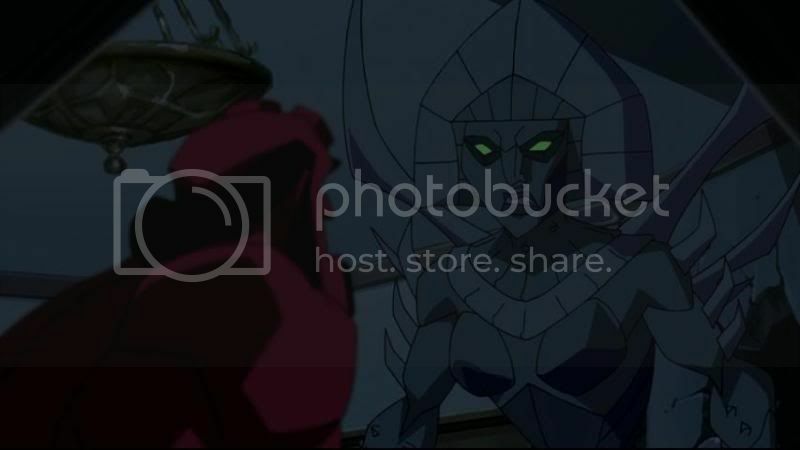 It’s going to take more than just a horde of very pissed-off demons for our heroes to see the light in this animated adventure from Creative Producers Guillermo Del Toro (writer/director of the HELLBOY movie) and Mike Mignola (creator of HELLBOY comics), now loaded with all-new Bonus Features. "Blood and Iron" marks a new inclusion to the many mythical tales from Hellboy and gang (B.P.R.D, Bureau for Paranormal Research and Defense to be precise) in pulp form (aka graphic novels aka comics) and film media. Similar to “Sword of Storms”, this animated series takes the paranormal investigators into realm of famous folklores and well known horror genre. While “Sword of Storms” took on the Japanese myths that might be relatively obscure to viewers here, “Blood and Iron”’s focus on vampire and ghost infested mansion shouldn’t be that unfamiliar. 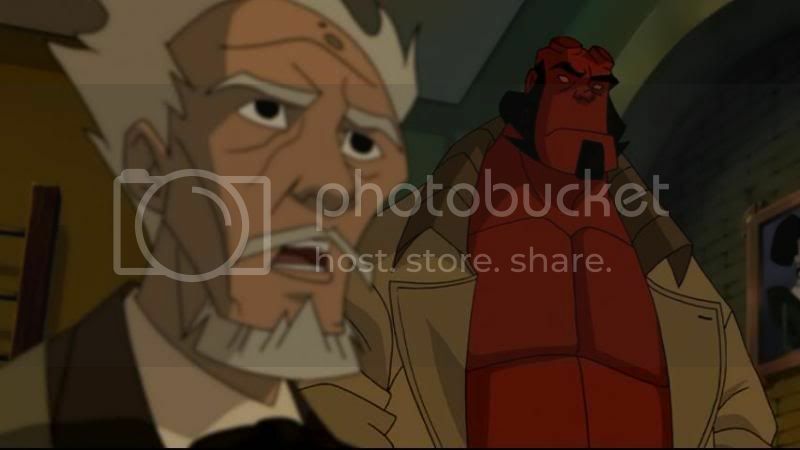 Basically, for Hellboy stories (both the animated and motion live action picture), the enjoyment is not so much derived from the events that happening but pretty much more on the immersing of the characters that lived in Hellboy’s realm. And although this animated film is being headline by the prophesized big red demon that will bring destruction to the world, it felt that it was really the story of Professor Broom and his adventures during his younger days. 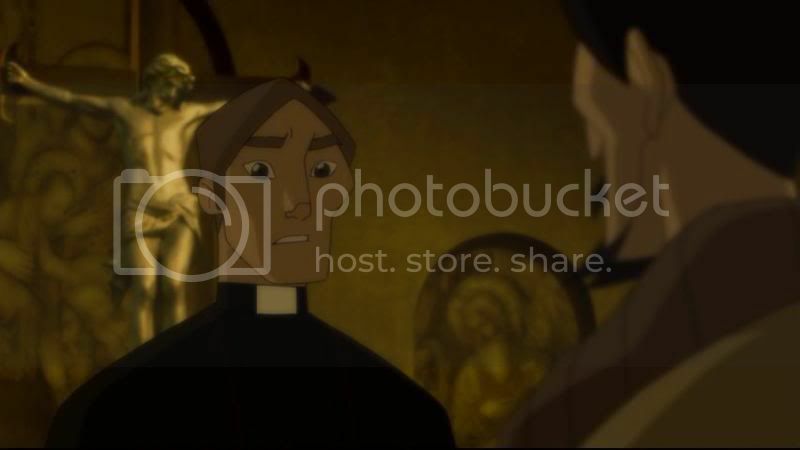 His interaction with a priest was one the highlight that I enjoyed in this animation. It spoke of the power of faith and no matter how religiously decorated one might be or how one might be boasting, the real measure of faith will only comes when horrifying events occur to that individual. Another highlight would be the handling Professor Broom character in this tale. It shows that sometimes, you don’t necessary need supernatural power to deal with the horror elements. Just add some wits would be equally effective as giving the ghouls the bashing of their lives. However "Blood and Iron" isn’t without weakness and in this case, some parts felt that it was unnecessary padded to increase the run time to full feature length. Especially bits that featured Hellboy and the constant reaffirmation on his future destiny (which was great in The Golden Army) got a bit of draggy. Ironically, later on in the Bonus Features that this DVD provides, I found out that the actual padded moments were the one that I actually liked about this cartoon. Bloody Ironical if you ask me. 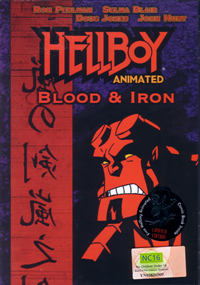 Basically "Blood and Iron" utilized the age old favourite vampire genre, mixing it with mythical creatures to add more insights to Hellboy and Professor Broom’s character. 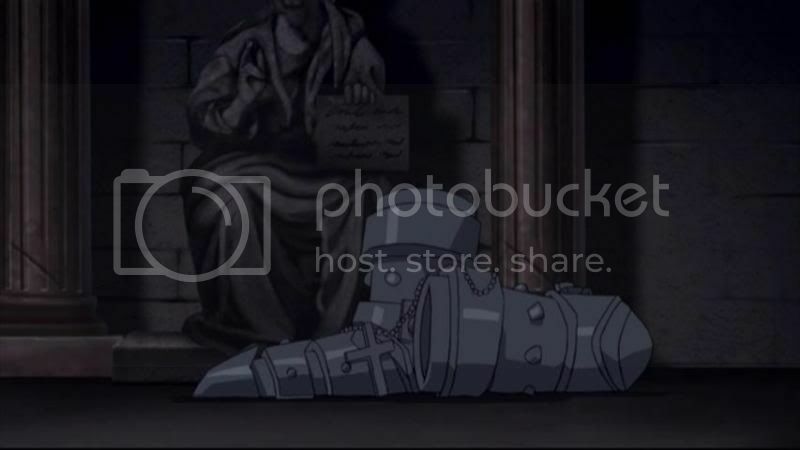 While it succeeded in giving more dimension to Professor Broom’s character, the continuous reaffirmation of Hellboy’s destiny felt unnecessary long. Since the third Hellboy movie won’t be coming anytime soon, Blood and Iron will do just fine to fill in the slot. This Dvd comes with an exclusive comic book titled as The Yearning which is the same that could be found in Sword of Storm. In The Yearning, Hellboy and gang to the snowy mountains for another adventurous encounter that cross path with another fable character. Reversal of Fortune: Professor Broom’s Story - This is where the irony bits that was revealed (to me). It turned out that there was a special reason why flashback sequences was used and it turned out to be those unintended last minute inclusion that worked very well. In this segment, viewers are given a chance to watch the flashback sequences in a chronological manner. Rather novel if you ask me. 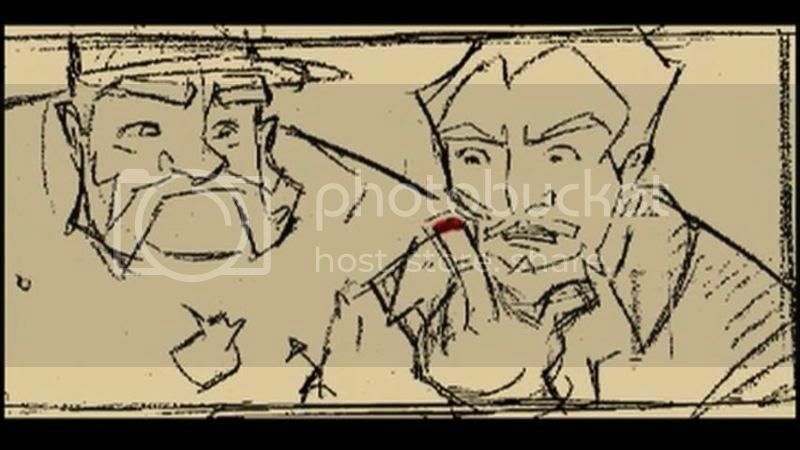 Tales from the Tomb: A Look Inside Blood & Iron - This segment basically features the creator, director, scriptwriter and various crews talking about the various aspect of the film from the initial concept to the various changes made along the way. Iron Shoes: The Animated Debut with Introduction - A very short animated feature that comes with an introduction by Mike Mignola and features voice performance by Ron Perlman and Dan Castellaneta. Behind the Mask Trailer - A trailer for a non-Hellboy related teenage slasher horror flick. This trailer played automatically before the main feature and could be skipped by pressing the main menu button. 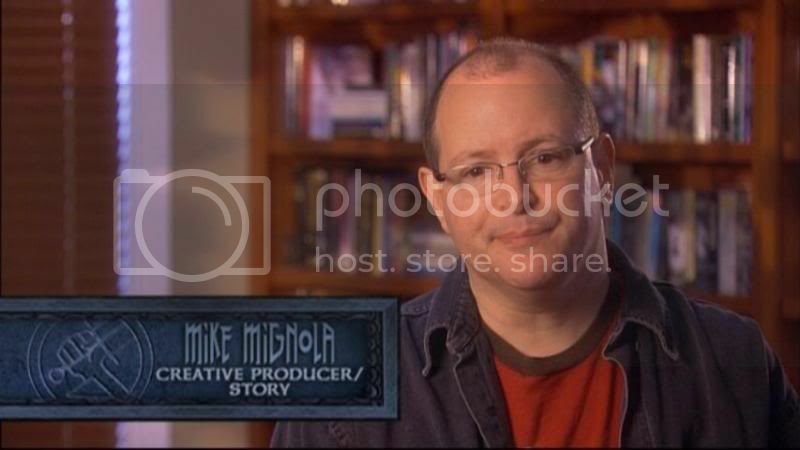 Audio Commentary by Mike Mignola, Tad Stones and Vic Cook - This commentary by the creator of Hellboy and directors gave an informative and revealing commentary on the making of Hellboy Blood and Iron. They certainly didn’t hold back on how creative inputs by the corporate personals made things better and worse at different times. The commentary which felt like a friendly banter between close friends revealed various interesting incidents that happened during the production. Worthwhile listening to if you are interested in film production or the creative process for Hellboy Blood and Iron. 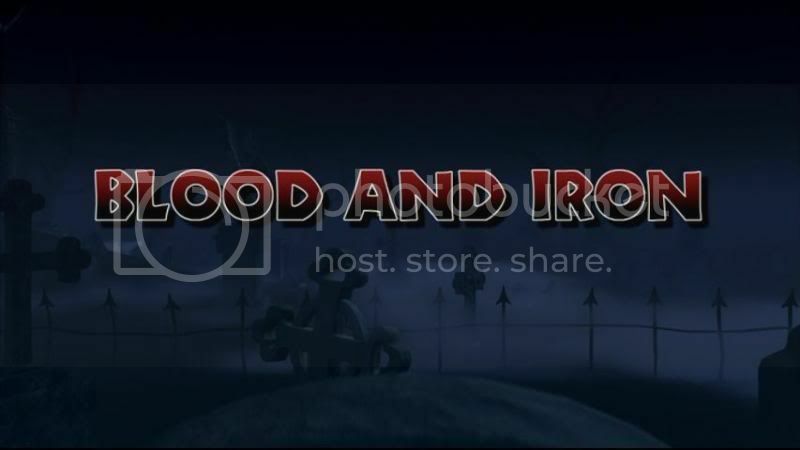 Blood and Iron is presented in 1.78:1 Anamorphic Widescreen with English 5.1 Dolby Digital soundtrack and Chinese subtitle.